KATHMANDU, Oct 22: Nepal legspinner Sandeep Lamichhane has joined Melbourne Stars for the upcoming Big Bash League season. The 18-year-old will play for them in two stints: he will join the squad by December 10 before leaving to play the full season of the Bangladesh Premier League on January 5, and then will return to Australia for the remaining BBL games. In January, Lamichhane made history by becoming the first Nepal cricketer to feature in the IPL when he was signed by Delhi Daredevils. Soon after, he was a well-sought entity in T20 leagues around the world, landing a contract in the CPL, the Global T20 Canada, the BPL and now the BBL. He will be the first player from an Associate country to play the BBL. Lamichhane, however, has experience of playing grade cricket in Australia in 2016, when he was mentored by Michael Clarke. Afghanistan's Rashid Khan, who played in BBL 2017, had played after his country had Full Member status. This year, Rashid will be joined in the BBL by his countryman Mujeeb Ur Rahman, who was signed by Brisbane Heat last week. 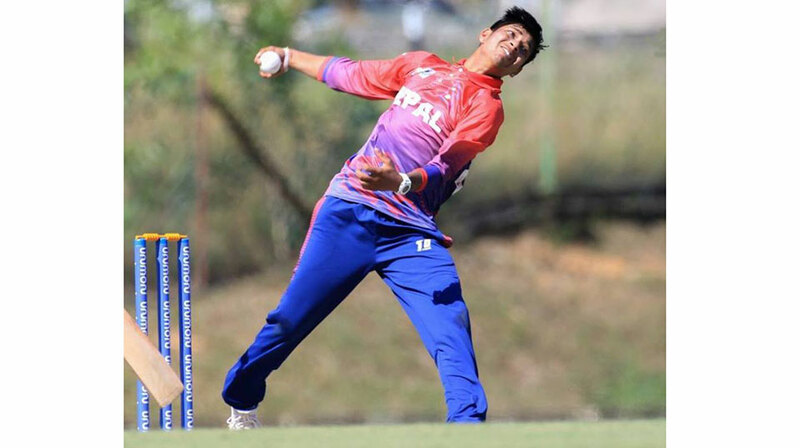 Lamichhane first came to the limelight at the 2016 Under-19 World Cup in Bangladesh, where he was the second highest wicket-taker with 14 scalps in six games. Earlier this year, Lamichhane took 13 wickets in the ICC World Cup Qualifier, playing a pivotal role in helping Nepal gain ODI status for the first time. He was also named in the World XI squad that faced West Indies at Lord's on May 31, in the Hurricane Relief T20 Challenge match.